Asus ZenBook 15 UX533FD Review: Power, Portability and Personality! Home Reviews Asus ZenBook 15 Review: Power, Portability and Personality! It’s war against bezels in every consumer tech product with a screen. Smartphones went bezel-less in 2017 with the Essential Phone and the iPhone X, and laptop manufacturers have been gunning for that streamlined look over the past year or so too. 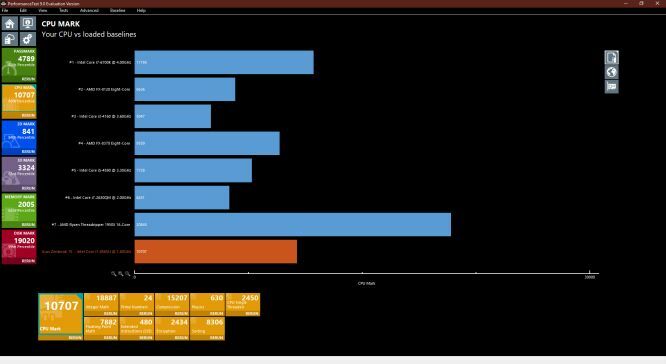 Dell’s XPS series is perhaps the most prominent of the bezel-killers, but Asus is clearly the current king! 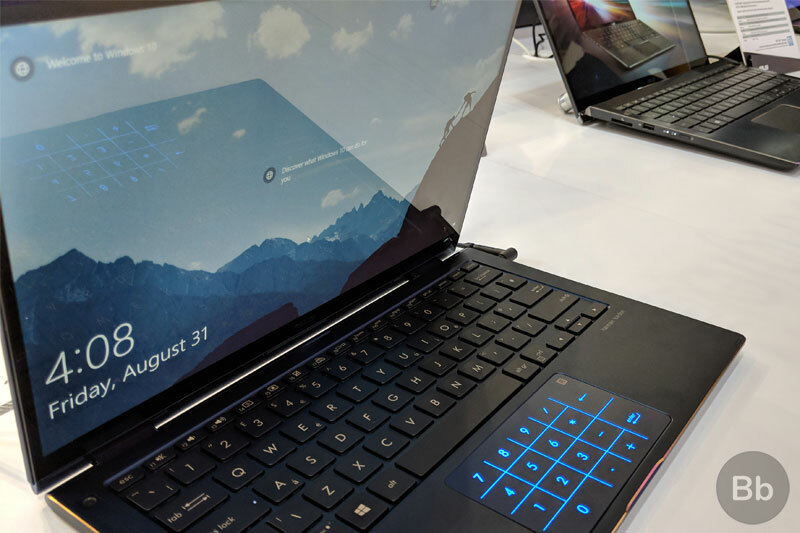 Asus took the bezel-less laptop screen trend to amazing heights at IFA last year with a revamped ZenBook lineup including a 13-inch ultrabook that’s just as big as an A4 sheet of paper along with teeny ZenBook 14 and ZenBook 15 models. All three have been launched in India and for the past two weeks, we had the chance to use and experience the largest of the bunch, the Asus ZenBook 15 (UX533FD). The ZenBook 15 is certainly one of the smallest 15-inch laptops on the market thanks to the ridiculously tiny bezels on all four sides of the screen. The laptop also gets the company’s Ergolift mechanism to raise the base to a comfortable typing height. Plus it has the latest Intel internals, including up to an Whiskey Lake Core i7 8565U as well as optional Nvidia GTX 1050 Max-Q design graphics for a performance and gaming boost. 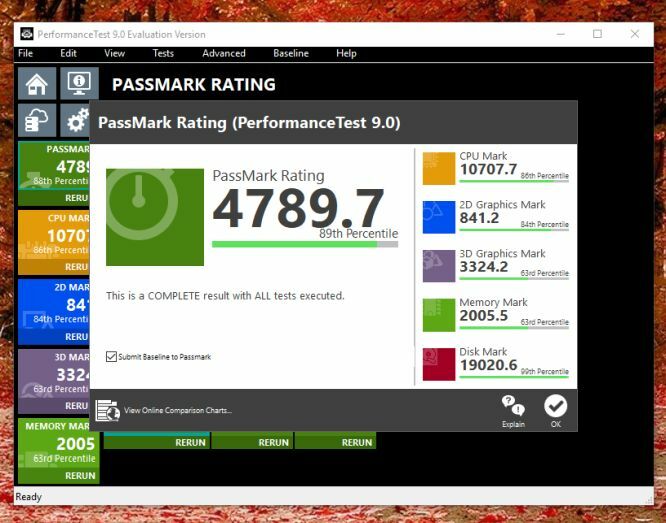 For our review, we got the SKU with 16 gigs of 2400MHz DDR4 RAM, and a blazing fast Samsung PM981 NVMe PCIe 1TB M.2 SSD. 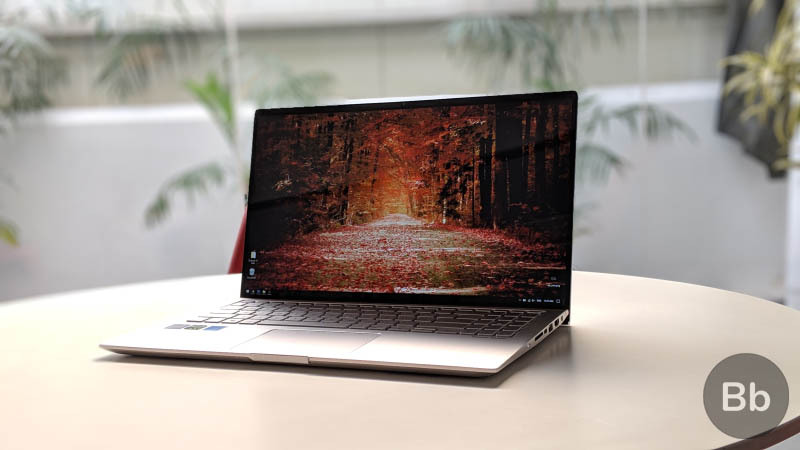 Priced at Rs 1,39,990, this top-end ZenBook 15 variant is not a cheap machine by any means, and there’s a lot of competition in this price range these days as affordable gaming and premium ultraportables collide. 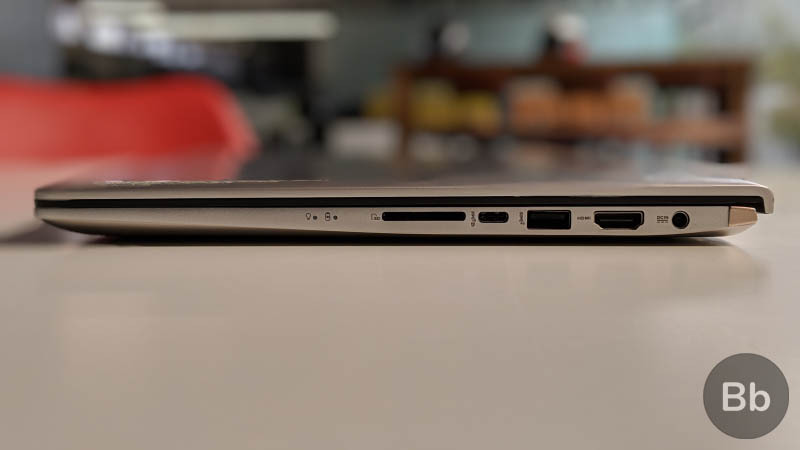 So Is this THE 15-inch thin-and-light laptop to buy this year? Does it have enough power to let you use it as a gaming machine? Has Asus done more than just cut down the size of the bezels? Let’s take a look. Now that that’s out of the way, let’s get started with a tour of the laptop. You can’t mistake this Asus ZenBook for any other PC. The spun-metal finish on the lid is as characteristic of Asus as its shiny Chrome logo on the lid. 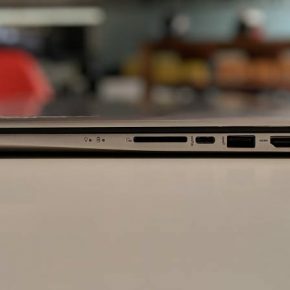 It’s not all that unique a look as we have seen this in the older ZenBook models as well. 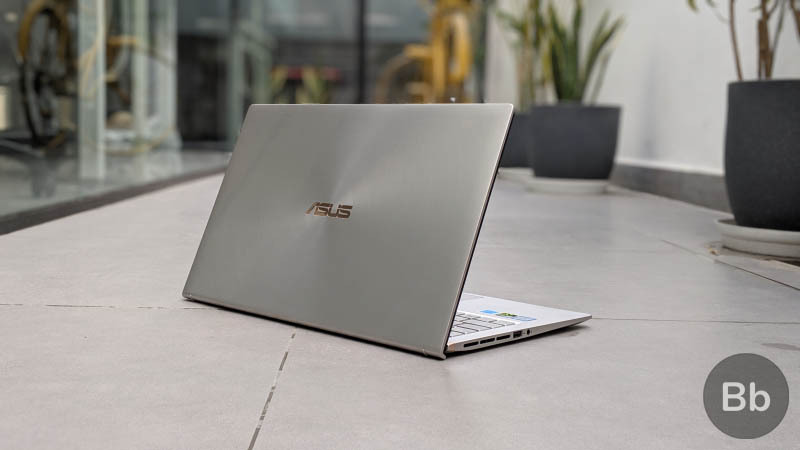 The silver finish on our model is bright and flashy, but the ZenBook 15 also comes in a more muted dark blue with golden accents, that just looks better to my eyes. 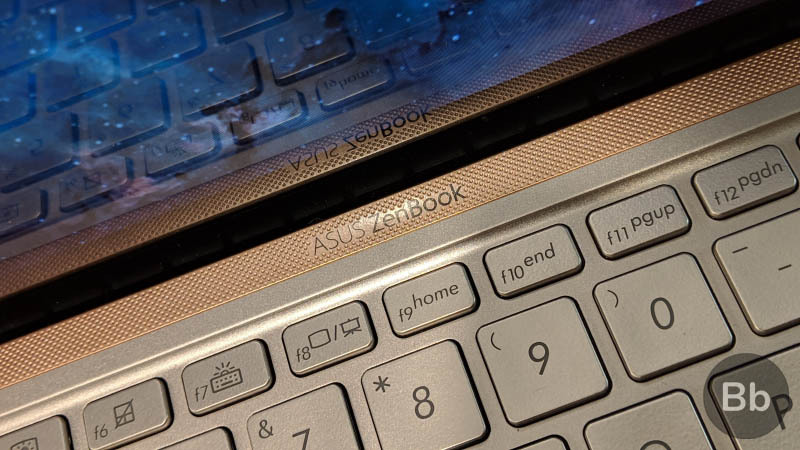 The ZenBook 15 has an all-aluminum body with some plastic inserts on the bottom deck along with the gold-colored speaker grill. I really don’t like the gold – just like most gold accents or colors on tech products. The sooner it fades out of fashion, the better. The biggest changes in terms of design are in the bezels and the hinge of the ZenBook 15. Last year’s models didn’t have the Ergolift hinge, which raises the keyboard to a more comfortable typing angle, and also allows increased airflow. The Ergolift hinge makes a huge difference in the typing experience as you don’t feel like you are banging away on a completely flat keyboard deck. The ZenBook 15 arguably has the most attractive 15-inch display on the market today, with barely any bezel on either side. 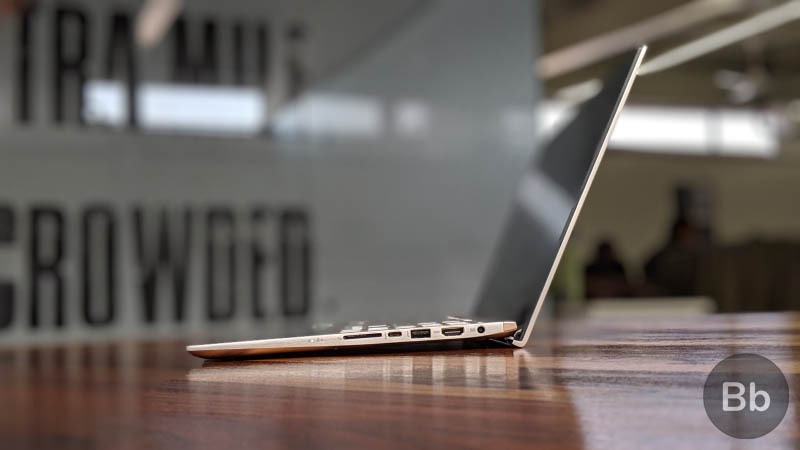 For the number geeks, the ZenBook 15 has a 3 mm-thin side bezel and 4.5 mm bottom bezel and thanks to the Ergolift hinge, even that chin is hidden behind the hinge, thereby giving the display a more immersive feel, unlike any other laptop I have seen. The only laptops that could make these displays envious is the new ZenBook S13, which has even thinner bezels, but that’s not going to be launched in India for a few months, having been unveiled at CES 2019. While the aluminum body lends great durability to the ZenBook 15, I must say it gets very cold, very fast. Just leaving the laptop out of the provided cloth sleeve for an hour or so, makes the body super cold. It makes the laptop very uncomfortable to use on your lap, and can be a shock to those with more sensitive skin, especially when you first use it in a cold room. 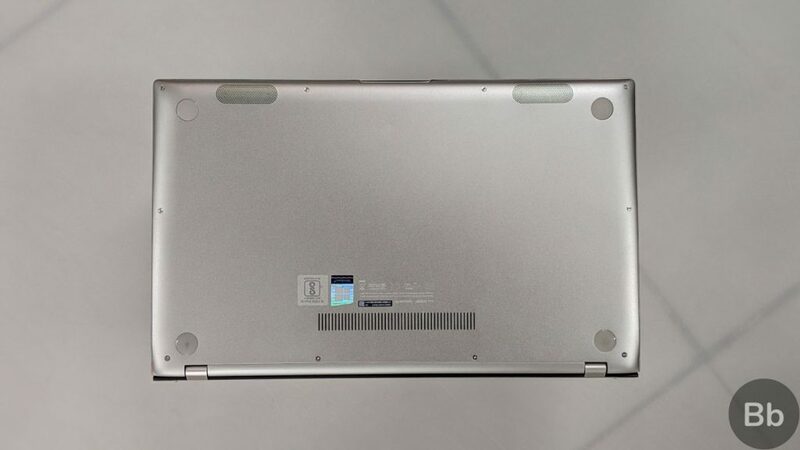 It’s certainly something I hope Asus looks at for its next-gen laptops, with a better feeling material on the bottom. To be fair, I also had this issue with the Dell XPS 15 and the Acer Nitro 5 Spin. Perhaps it’s just my tolerance to the cold, but I surely won’t be alone. Despite being 0.70 inches in thickness, the ZenBook 15 is solidly built and meets MIL-STD-810G military standard for reliability and durability, just like its predecessors. 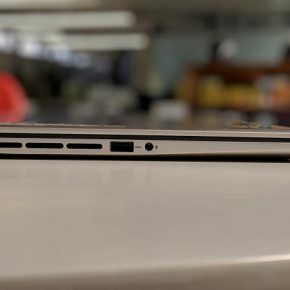 The build quality is really quite good, but we did notice some creaking in the bottom right edge of the laptop. It’s a minor quibble and it’s only prominent when you dig your fingers into the body. 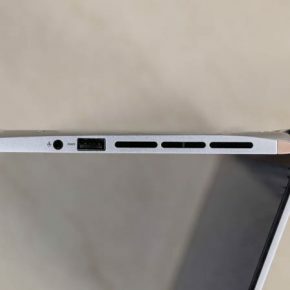 Of course, this could just be a defect in the particular unit we had, since it was also used in Asus’s press demos before launch. There’s little to no flex on the body or the keyboard deck, while the base is solid enough to stay in place while you open the lid with one hand. While I have been using the ZenBook 15 for the past few weeks, I also had a chance to see the ZenBook 14 and ZenBook 13 at a press briefing in India, as well as at IFA 2018, where the three laptops were announced. I must say that the ZenBook 15 doesn’t seem as svelte as the other two models. The ZenBook 14 is, in my opinion, the perfect size for an ultrabook. 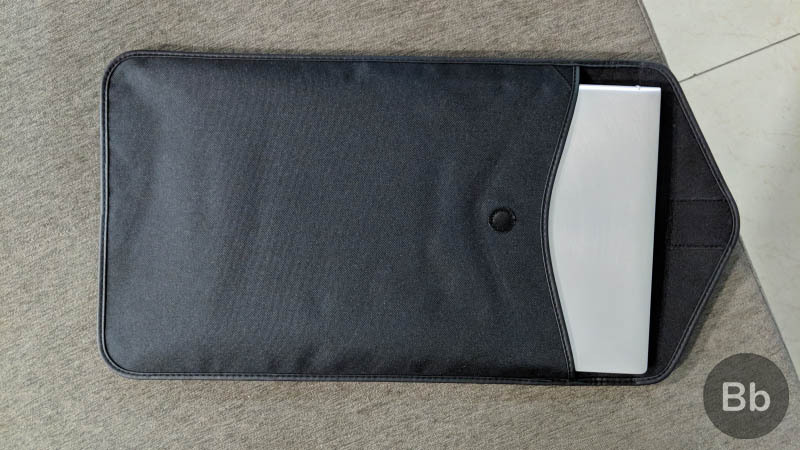 As mentioned, the 13-inch version is as large as an A4 sheet, which gives you an idea of just how portable it is but that may be a bit too cramped for me. The 15-inch version just feels overgrown, which makes it harder to carry around in one hand. 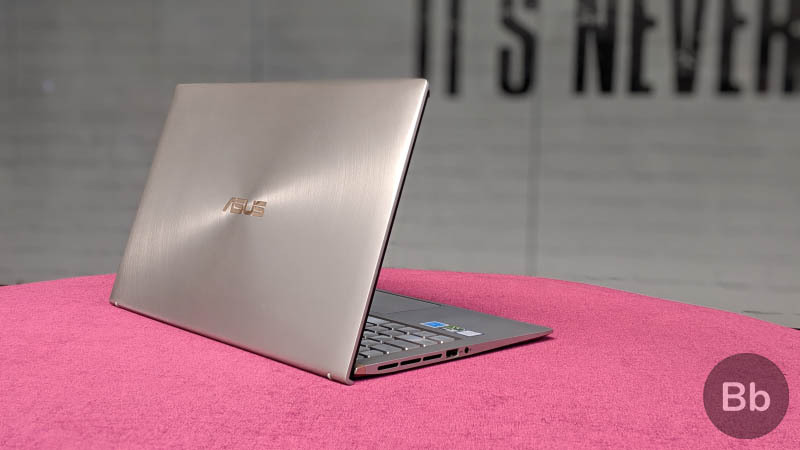 Overall, there’s nothing ‘wrong’ with the design of the ZenBook 15, but I do wish Asus refines the design slightly for the next-gen model to take care of these minor niggles. Having said that these are not structural limitations; Asus has ensured that everyday users have nothing to worry about when it comes to the durability of the laptop. The full HD IPS panel on the ZenBook 15 is bright and vibrant, with excellent viewing angles. I rarely faced any scene or situation in which the 60hz display looked underwhelming or washed out the colors. 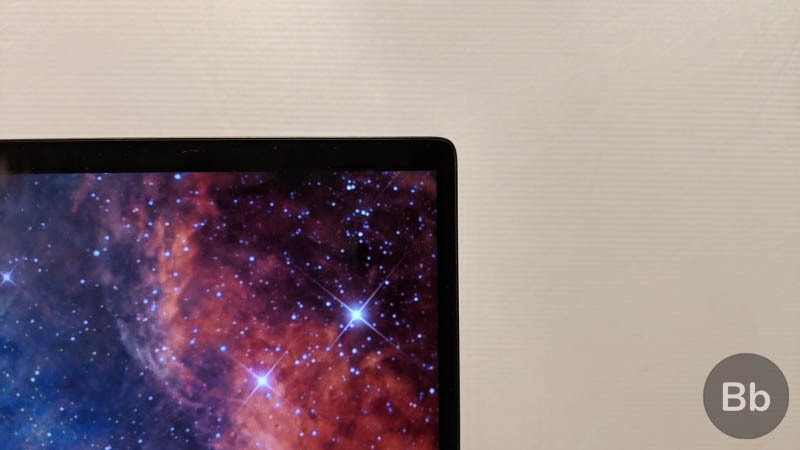 The 15-inch 1920×1080 resolution display supports 100% of the sRGB color gamut and has 178-degree viewing angles, which means even those viewing from the sides can see the colors as they are, with minimal shifting. 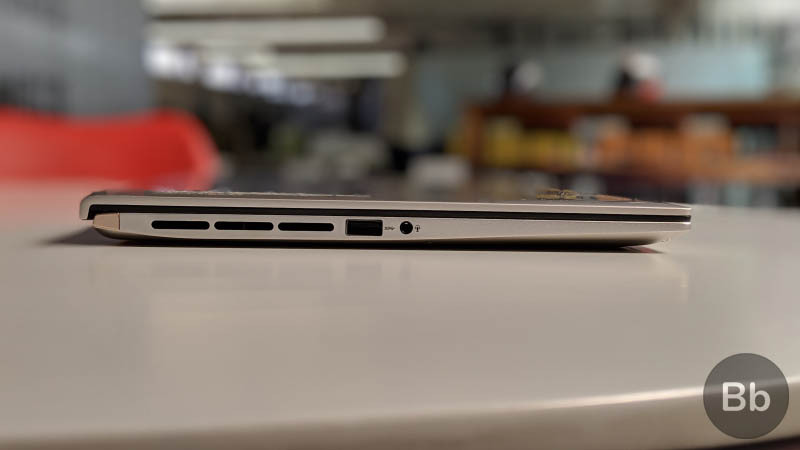 Thanks to the extremely narrow bezel, you get a screen-to-body ratio of 92%, which is simply amazing for a notebook of this size. The display is terrific in nearly every aspect; it managed to reproduce the darker scenes in the second season of Punisher on Netflix without any problems. It also managed to do justice to the bright colors and vibrancy of the Into The Spider-Verse trailer. I would say that for a 15-inch laptop in this price range, this is as good a full HD display as any. Of course you can also complain about the fact that it’s not 4K or 1440P, but full HD is more than enough for productivity and casual gaming, which is what this laptop is built for. It also translates into great battery life for the ZenBook 15 as we will see later. My biggest problem with the ZenBook 15 is the keyboard. 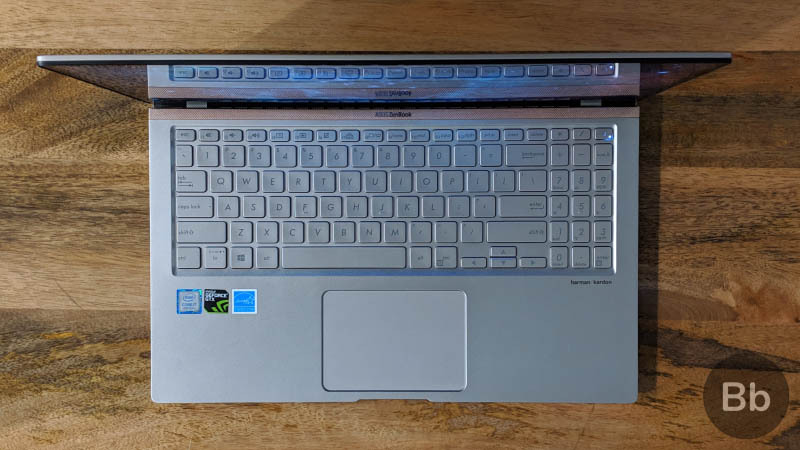 It’s not like it’s a bad keyboard by any means, but the fact that the display is squeezed into a smaller body, meant the full-sized keyboard also had to be crammed in a less wide deck. As a result, the numpad is very narrow and cramped. 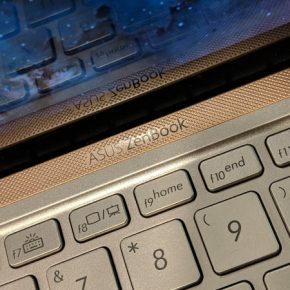 It almost feels like Asus should have let the touchpad double up as the numpad as in the ZenBook 13 and 14. At least, that would have given the keyboard a more roomy layout. Layout problems aside, the multi-stage backlit keyboard also feels a bit shallow and mushy for my tastes. I like to feel the keys spring back up to my fingers and the ZenBook 15 doesn’t let me get into that comfort zone. The key travel is advertised as 1.4mm in depth which sounds great, but it doesn’t feel so tactile. Having said that, this didn’t get in the way of my daily workflow. It’s not a failure by any means, but perhaps Asus needs to dedicate a bit more time in refining the typing experience on the larger model. In contrast, the new ZenBook 13 and 14, which I have used briefly, are just the right size given the smaller chassis on both. 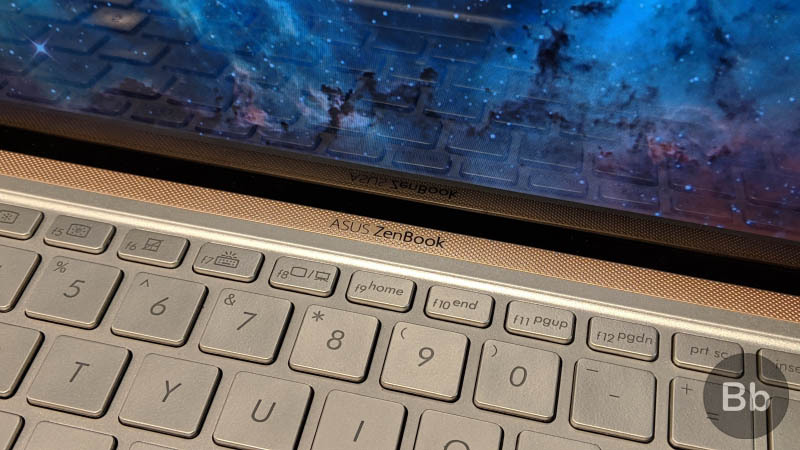 They don’t have the numpad on the side, which should have been the case with the ZenBook 15 too, even though the touchpad-numpad combo has no haptic feedback and some latency. While I have some complaints about the keyboard, the touchpad is quite flawless on the ZenBook 15. The ZenBook 15 comes with a really spacious touchpad which has a lot of room for all Windows 10 gestures and actions. I really love Microsoft Precision touchpads as they feel so much better than any other touchpad on the market – barring the MacBooks. The ZenBook 15’s touchpad is smooth and the glass surface lends itself very well to gestures. 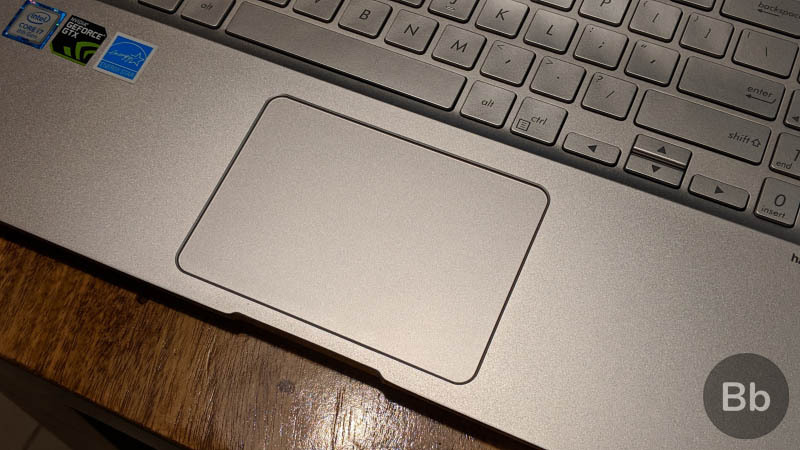 The whole touchpad can be used as a giant left-click button, with a separate right click on the bottom right of the touchpad – you can turn this off in the settings and use two finger taps for right click, which makes the touchpad a lot easier to use, in my opinion. 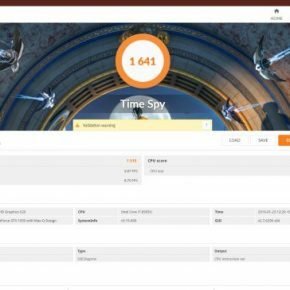 Thanks to the 8th Generation Intel Core i7 8565U Whiskey Lake processor, the performance on the ZenBook 15 is top notch in the ultrabook category. The quad-core low-voltage processor is still powerful enough to run productivity, creative apps such as Adobe Photoshop or Premiere Pro and also a few games as we will see. With a 1TB Samsung PM981 NVMe PCIe M.2 SSD, the ZenBook 15 has super fast boot times and loads apps as quickly as most laptops we have tested. The laptop booted up in around 10-12 seconds usually from a cold start, and restarted in under 20 seconds when updates weren’t pending. It took a mere 10 seconds to load up Adobe Photoshop, which is simply great for those times when you have to edit an image in a snap. The ZenBook 15 seems overqualified for my usual workflow of multiple Chrome tabs and instances as well as Photoshop and other work apps running in the background. It definitely can handle more intensive tasks such as video editing and design work. 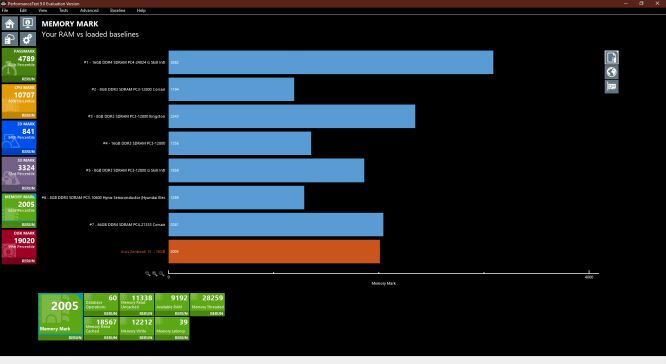 Let’s take a look at its scores for some of the more popular benchmarking tools. 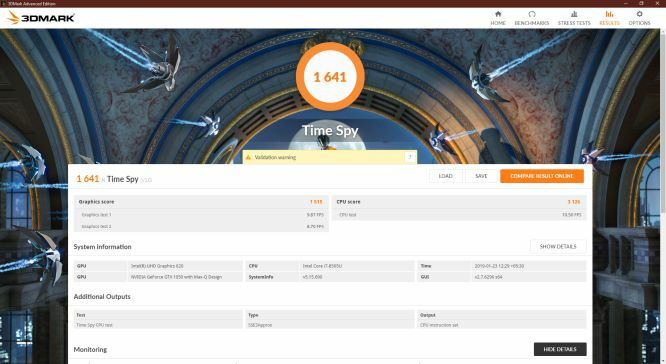 When it comes to gaming performance, the ZenBook 15 was able to run PUBG at 40-45 FPS in 1080P at Medium Settings, with some tearing and jankiness. 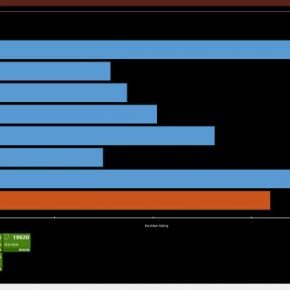 We reduced the resolution down to 720P and boosted the graphics settings to ultra, but this resulted in a worse 25-30 FPS gameplay with a lot of tearing. Turning down the graphics settings to Medium at 720P resulted in a much more playable 50+ FPS, with smooth gameplay and barely any tearing. 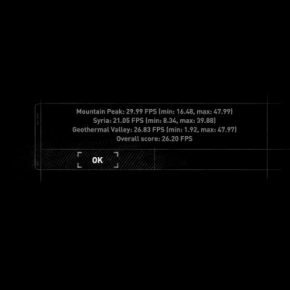 In Monster Hunter: World, we got a playable 40-43 FPS in 720P resolution at Medium settings, while turning it to the native 1080P resulted in a worse 33-35 FPS with some tearing. 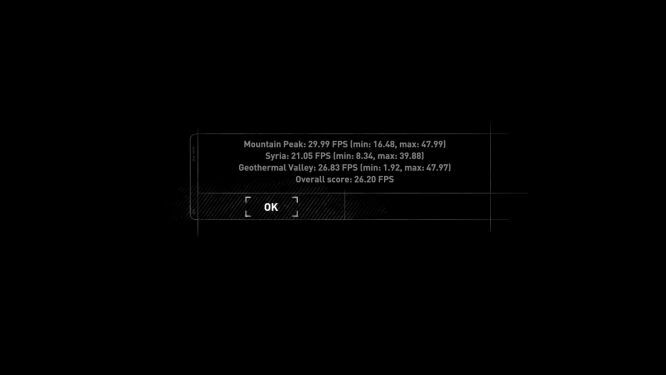 In the Rise of the Tomb Raider benchmark, the laptop only manage 26.20 FPS overall at 1080P, which falls between the performance of the Nvidia GTX 950 and the GTX 960. 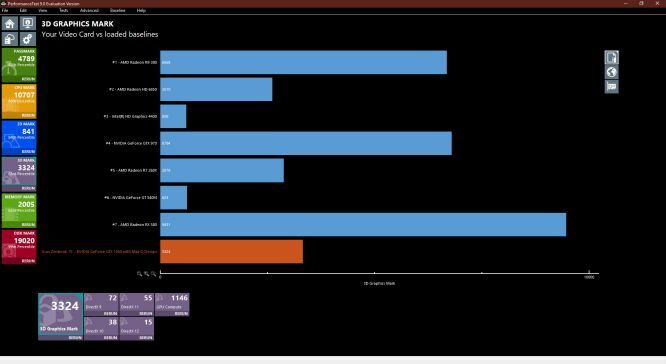 That should tell you what kind of gaming performance you are likely to get from the ZenBook 15. I would say the ZenBook 15 is capable of handling popular modern titles, but you will definitely have to turn down the settings to Low for smooth gameplay. 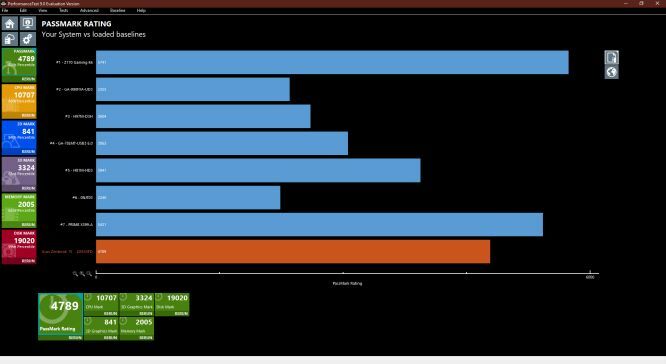 Additionally, 720P gaming seems to be the right resolution for this laptop, as the native 1080P results in worse gaming experience even with Low settings at times. Look, I have no complaints about the performance of the ZenBook 15, and you wouldn’t either if you realize its limitation and not use it for HD gaming or for 4K video editing. It’s not suited for such tasks and you would do better spending a little more on a dedicated gaming laptop such as the Dell G7, Alienware 15/17, or Asus’s affordable ROG Strix lineup. 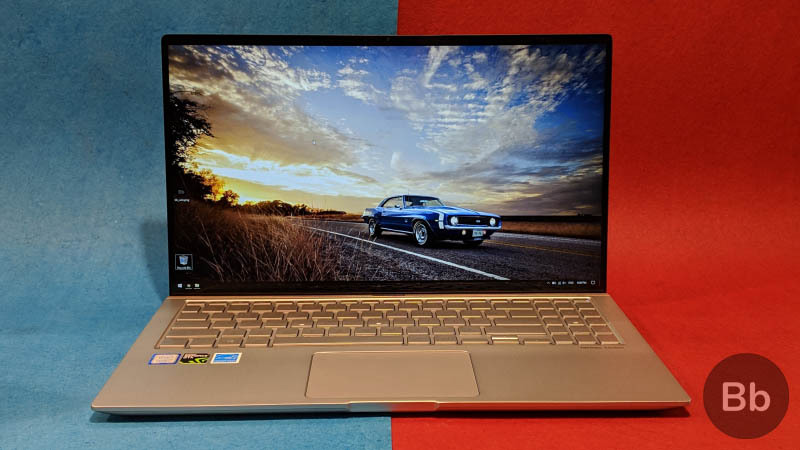 For workstation-grade tasks and 4K editing, the considerably more expensive Dell XPS 15 or the Lenovo Thinkpad lineup would be a better fit than the ZenBook 15. 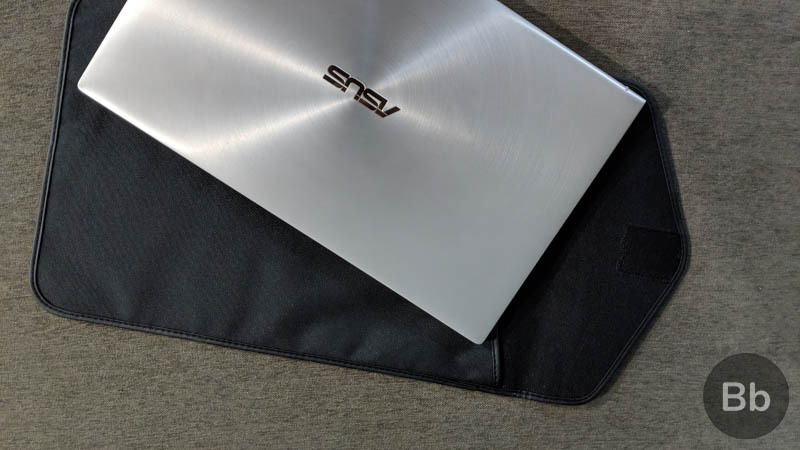 The good news here is that the ZenBook 15 rarely gets hot and when it does the hot spots are safely away from areas which will come in direct contact with your clothing or body. For example, the portion over the F11 and F12 keys goes all the way up to 45-degrees Celsius, which is the hottest part of the laptop. 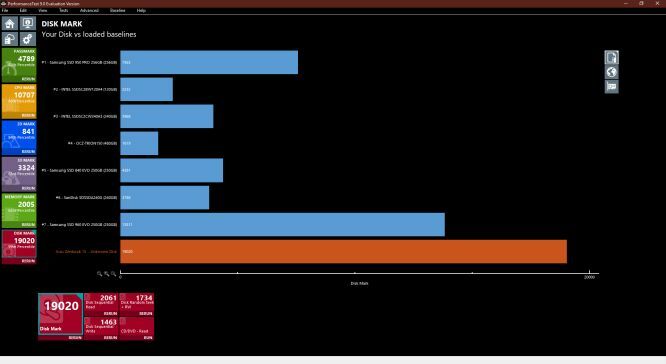 So even when it does get hot, it’s remains within acceptable norms in terms of thermal emissions. It’s an altogether different matter when it comes to the fans. The ZenBook 15 has one of the loudest fans among ultrabooks we have tested. Not only is it loud, but it also sends draughts of air down the left edge where the vents are located. This means your left hand, if resting on the sides will feel a cool breeze running over it. Any tiny strips of paper will fly off your table if the fans kick in and go full speed. 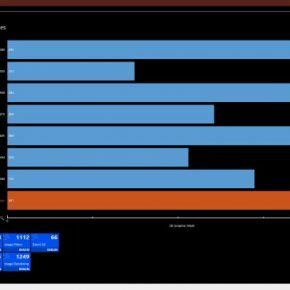 It’s a minor annoyance, but at least we know that the fans are doing all the hard work to keep the PC cool, where they do a fairly good job as seen above. 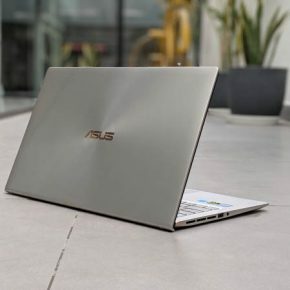 The ZenBook 15 has room for plenty of ports and Asus has made sure you have enough connectivity options to not require dongles. Even so, it gives a USB to Ethernet dongle in the box. Much room on the left side is occupied by the heat vents with three SD Card slot-sized cutouts to let the fan air out. 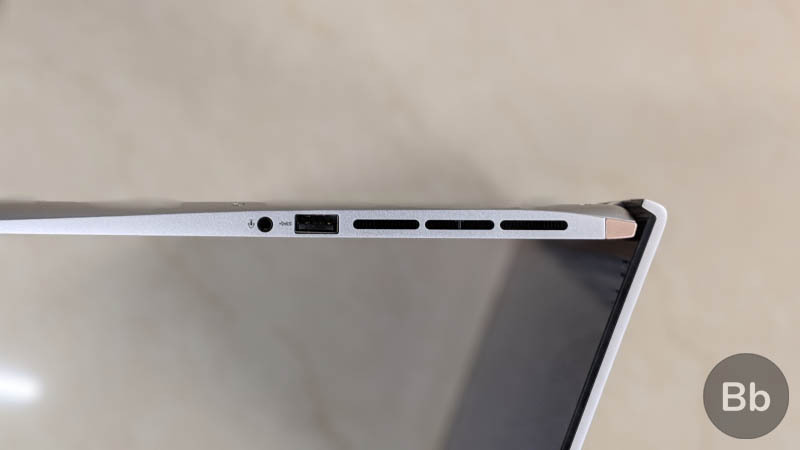 Next to the heat vents is the first USB 3.1 Type-A port and the combo 3.55 audio jack. 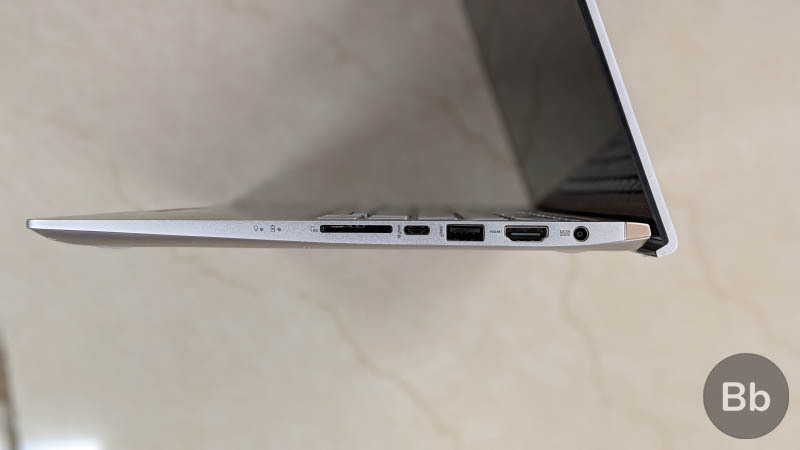 On the laptop’s right side you have an SD card reader, one USB-C 3.1 Gen 2 port, the second USB 3.1 Type-A port, and HDMI port and the DC-in for the barrel plug. For wireless connectivity, the ZenBook 15 has dual-band 802.11ac gigabit-class Wi-Fi along with Bluetooth 5.0. 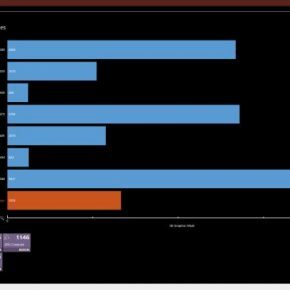 I have zero complaints in terms of Wi-Fi throughput on the ZenBook 15 and the supplied WLAN card was more than capable for the gaming tests as well as everyday work. 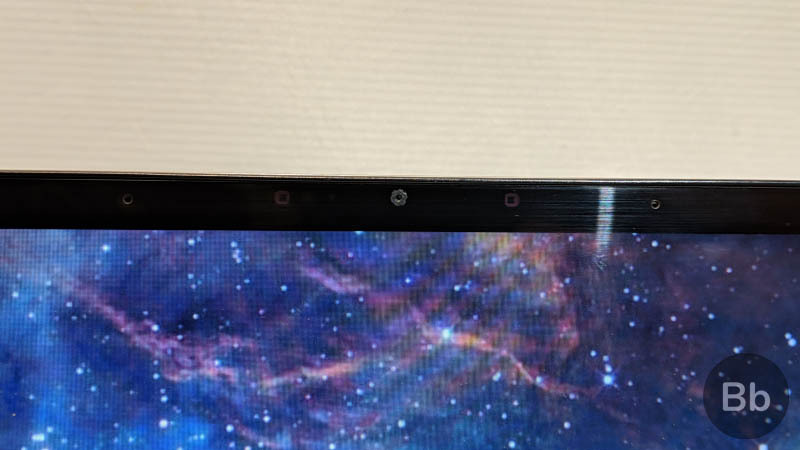 Thanks to the IR face recognition cameras on top of the display and Windows Hello support logging in to the ZenBook 15 should just be a matter of looking at the screen. It couldn’t be easier, but in everyday use I found I had to maneuver the lid to let the camera get the right angle of my face before the PC unlocked. The lack of a fingerprint sensor, which is present in the last-gen model, is also a baffling choice. Fingerprint sensors are not all that expensive any more, and omitting it to go all-in with IR face recognition is a bad decision in my opinion. 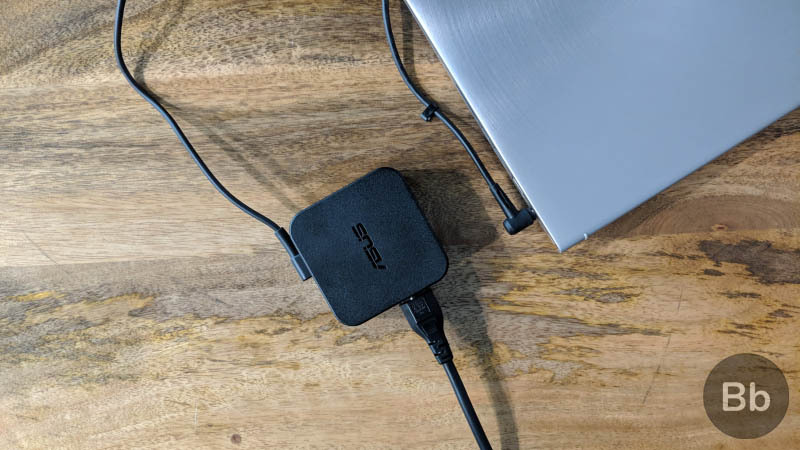 Asus told me since it already had the Windows Hello face recognition, it didn’t feel the need to add a fingerprint sensor, but I definitely had issues with this and I can see other users also facing this problem. On the other hand, I had zero issues with the fingerprint sensor on the ZenBook 13 from last year. At the end of the day, Asus went for the cool factor, which has backfired. Speaking of the webcam, it really is worthless on this PC. You better have a USB webcam ready to use if you need to Skype video call. The ZenBook 15’s cam produces blurry, noisy images which cannot be used for much. The speakers, too, despite the Harman Kardon branding are nothing to write home about. They don’t have much punch and most media sounds muted on the ZenBook 15. 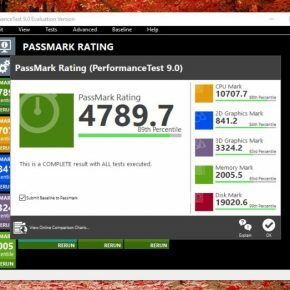 Despite being a quad-core CPU, Intel’s Whiskey Lake Core i7 8565U is one of the most power efficient processors produced by the company. Not only does it provide enough performance to run intensive applications, it also conserves battery in daily use. 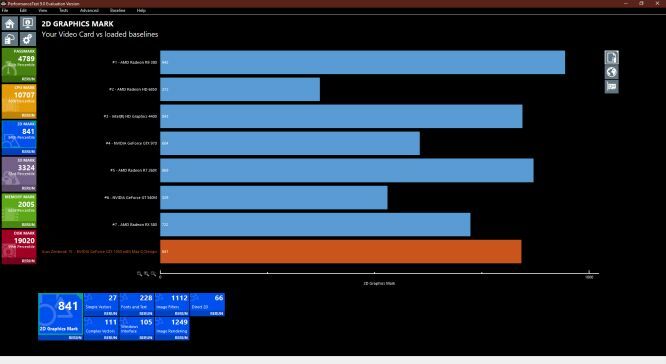 While using the ZenBook 15 purely for work with browsing, surfing, typing and some Photoshop at 100% brightness, and with Wi-Fi and Bluetooth on, I could eke out close to 9 hours of battery life. The endurance shot up to over 11 hours when I reduced the brightness to around 60% and tweaked the power settings to the Balanced mode. You can get around 5-6 hours of battery life with the GPU being used for light gaming and heavy applications. However, since this is not a high-performance gaming laptop, you are unlikely to put the ZenBook 15 through this use-case scenario on a daily basis. 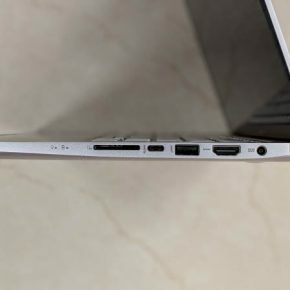 For charging, the ZenBook 15 uses the old barrel pin charger, which has been replaced with USB Type-C in the 2019 models. I find the barrel pin plug convenient if a little archaic, and I’m looking forward to the USB-C chargers which will be seen in the new models. The charging adapter itself doesn’t take up much room, which is really nice and I want to see more manufacturers trying to reduce the size and weight of these adapters. 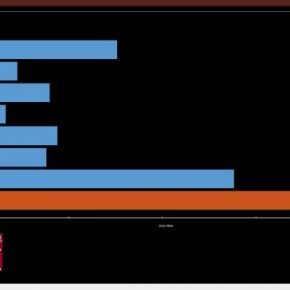 Charging the laptop from around 5-10% to 100% takes around 90 minutes, and the ZenBook 15 goes to around 70% in an hour, to give you usage for at least 7-8 hours. All in all, this is a really good laptop when it comes to battery life. Asus ZenBook 15: Worth the High Price? Finally, we get to speak about the pricing of the ZenBook 15 and whether it justifies the tag. The variant we reviewed is priced at Rs 1,39,990, which is the only SKU Asus is selling in India, according to its press note. When we looked for Intel Core i7 8565U-powered laptops in India, we could only find options from the new Asus ZenBook lineup. 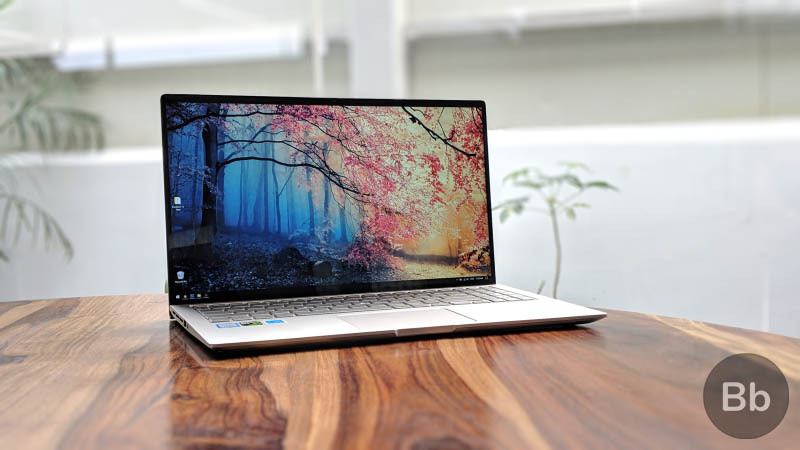 The ZenBook 15 is clearly the first to arrive and is also very attractively priced if you want a thin and light notebook with more than enough power and personality. At that price, it is going up against mid-range gaming laptops as well as some premium thin and light machines, but for the sake of fairness we will only be comparing it to the latter. The base model of the Dell XPS 15 is priced at Rs 1,36,390 (plus taxes), and it has a desktop-grade CPU, unlike the U-series processor in the ZenBook 15, and a more powerful GPU. It is however also quite a bit heavier than the ZenBook 15 at over 2 kg, and has half the storage space. Then there’s the HP Envy x360, which has a price tag of just over around Rs 1,34,000 these days, but that also has a smaller and slower SSD, an older Intel 8th Gen processor in a convertible form factor. Plus it’s bezel city while the ZenBook 15 is much more modern. 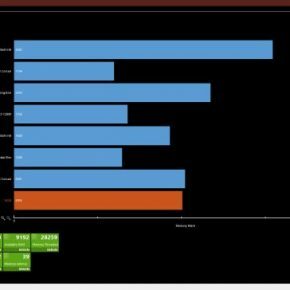 Acer’s Swift 5 or Swift 7 are always hovering around the Rs 1,10,000 mark on e-commerce sites, but neither of those look as good as the ZenBook 15 and have less powerful internals too. 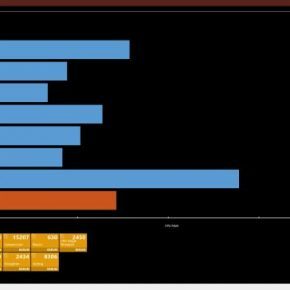 On the other hand, the Microsoft Surface Laptop 2 with comparable CPU and RAM, but half the storage and no GPU, has been recently launched in India and is available for Rs just over Rs 2 lakh. This is far more expensive than the ZenBook 15, even though the Surface Laptop does have a unique design and lacks bloatware unlike the ZenBook. I feel Asus has got the pricing right, but I can say how some might think it’s paying too much for a laptop. Yes, that’s what a modern 15-inch laptop costs these days. Unfortunately, Windows laptops on the affordable end of the spectrum rarely look this good or have similar internals. That’s the price you have to pay for premium and the Asus ZenBook 15 justifies it with that stunning and bezel-free display, exceptional build and plenty of power. The Zenbook 15 is certainly a powerful machine and it’s quite a looker too. It comes with Nvidia GTX 1050 graphics too, so you can certainly play a game or two in your downtime from work. However, it’s not without its shortcomings, and one of the biggest questions is whether it is worth the price tag of Rs 1,39,990.